The upgraded, luxury version of the stunning Zen pool table. Exquisite luxury version of the Zen. Stainless steel, iron and wood construction. Swarovski crystal sights embedded into top rails. Customisable with a range of finishes and options. Exclusive, elegant slate bed pool table. The Zen Luxury is the epitome of designer pool tables, handmade to order and finished to the highest standards. It's based on the popular Zen pool table, already one of our best sellers, but the Luxury takes the concept to a new level. The table is built around a strong iron frame. Over this, sheets of 4mm stainless steel plate give the body its shape. These steel plates can then be finished with wood veneers or painted. There are five wood finishes available to choose from, or you can select a standard black or white finish. Alternatively, see the RAL colour chart below and pick your favourite. Swarovski crystals are mounted into the top rail as sights, whilst that spectacular Z-shaped leg is so deeply polished that you could shave in it. The exquisite finish on the Zen Luxury will add endless status to your home games room. Fast Elite-Pro cloth by Hainsworth. The table's sectional three-piece slate bed is fitted with a napless Elite-Pro cloth by Hainsworth, which is designed to provide a fast, accurate game and is endorsed up to tournament and league level. It's also a very durable cloth, and can even be printed with artwork to create a really unique, customised games table. The cushions are professional-grade rubber and provide a consistent rebound. Add table tops to use it as a dining table. If you've fallen in love with the Zen, but have the budget for something even more exclusive, the Zen Luxury could be just what you're looking for. Striking Z-shaped stand made from iron and clad in stainless steel. Diamond-honed 30mm sectional slate bed. 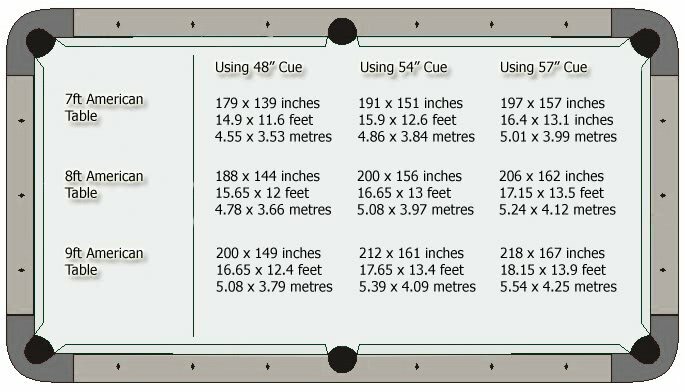 Available as a British 7ft pool table or an 8ft or 9ft American pool table. Iron frame with stainless steel panels and wood trim. Wood veneer on the body edges. Choose from five wood veneers, four standard white and black finishes, or 171 RAL colours (see chart below). Supplied with a range of exclusive accessories, including a polished stainless steel triangle. Fitted with Hainsworth Elite-Pro napless speed cloth - choose your colour from the swatch below. Add a dining top - choose wood, glass or a table tennis top. Request black or white pocket liners. Free delivery, installation and levelling. Delivered and installed by a dedicated fitting team with years of experience - please see delivery information below for more details. Choose a RAL lacquer colour from this chart to replace the wooden veneered sections, and call us with the code when you make your order. Choose your preferred Hainsworth Elite-Pro cloth colour. The playfield dimensions are measured within the cushions, and show the table's playing area. Please see the bottom of the listing for table dimensions. English 7ft table: 210cm x 105cm. American 8ft table: 220cm x 110cm. American 9ft table: 254cm x 127cm. An exclusive cue stand is included with the table. Use the dropdown menu to choose a wall-mounted rack, a small floor stand or a large floor stand. Make sure that your room has enough space for the table size you've chosen. There should be enough room around the entire table to extend the cue from the table edge to the wall. Use our chart for a rough idea of the minimum room size required for each table size.